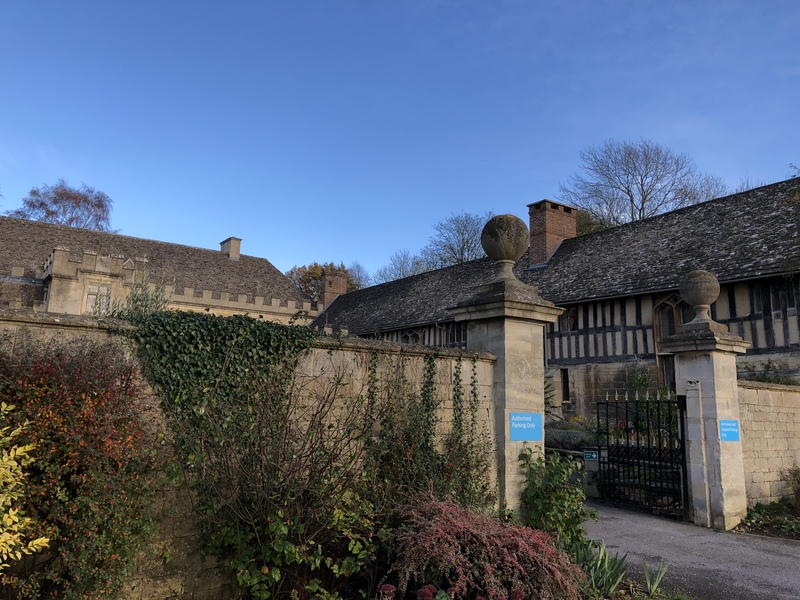 Leckhampton Court Hospice – Sue Ryder Cheltenham. 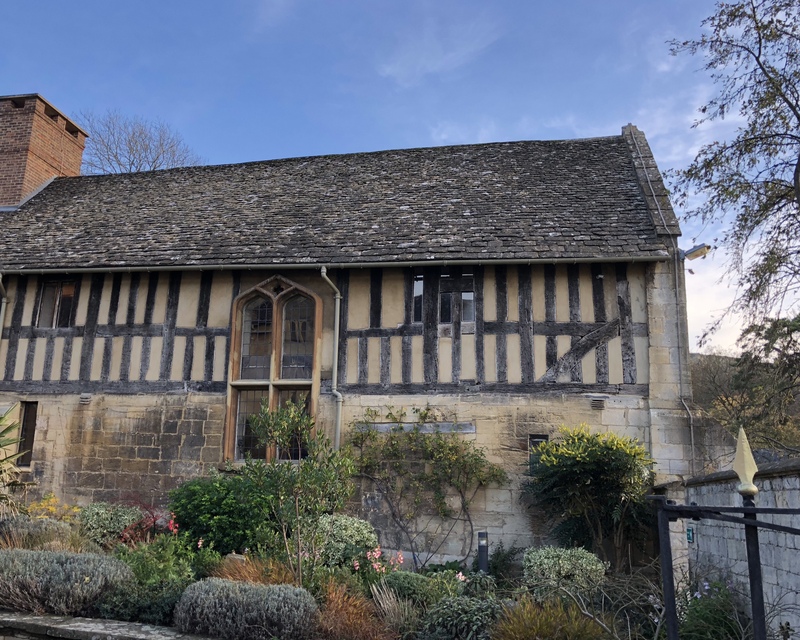 The Leckhampton Court Hospice, owned by the Sue Ryder trust charity in Cheltenham recently invited me up to learn a bit more about what they do after I messaged them and asked them if I could help raise awareness for them in any way. I have to admit I was nervous. I had an idea of hospices being very sad places filled with crying people and somber and quiet staff, the idea of going in there made me feel awkward and like I was trespassing on others personal grief. Mainly because of my own experiences of losing family members to cancer, none of whom received hospice care. The trust has doctors, nurses and specialists, all working together to offer palliative, neurological and bereavement care to the people that need it the most, it costs £44million a year to keep these services running and much of this is raised in donations and by holding charity events. There are also approximately 11,000 volunteers who work in the Sue Ryder charity shops and help in the hospices. The Leckhampton Court hospice is the only palliative care inpatient unit in Gloucestershire and with only 16 beds, they can’t admit everyone that they would like to and so are currently expanding their Hospice at Home care teams of specialist nurses so they can ensure that you can receive treatment at home if the worst should happen and you need end of life care and you don’t wish to go into hospital. Alongside helping people to be as pain free and comfortable as possible, the hospice focusses heavily on the mental and emotional well being of not only the person facing the life-limiting condition, but also their families to make everything as easy as it can be. With a well stocked art room, they offer art therapy courses and work with people to create reminders for after they have passed if their diagnosis is terminal, making memory boxes or anything they feel would bring comfort to loved ones. A common misconception is that you go to a hospice for end of life care only but I’ve been surprised to learn that that isn’t the case at all. 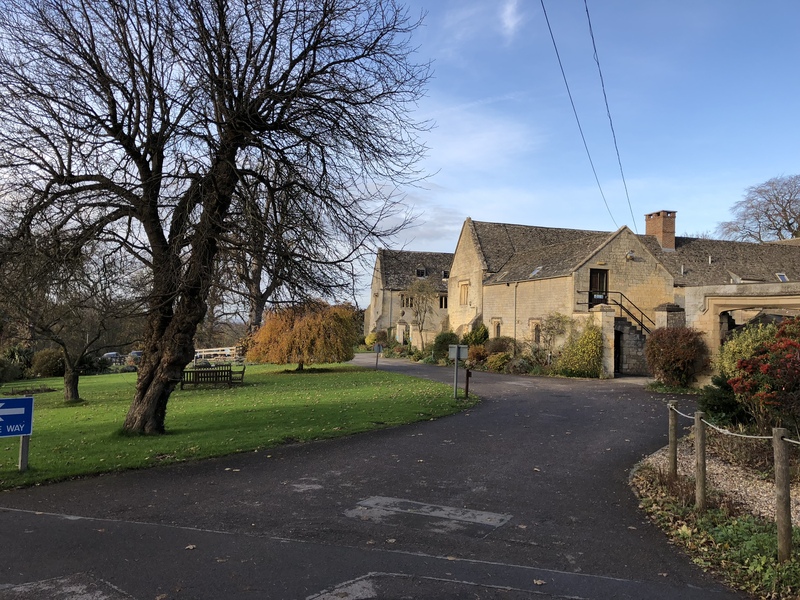 In fact, a lot of people come up for some treatment and are discharged again, or are referred by the GP for pain management strategy as the Leckhampton Court hospice has some of the most knowledgeable consultants in the county when it comes to treatment. 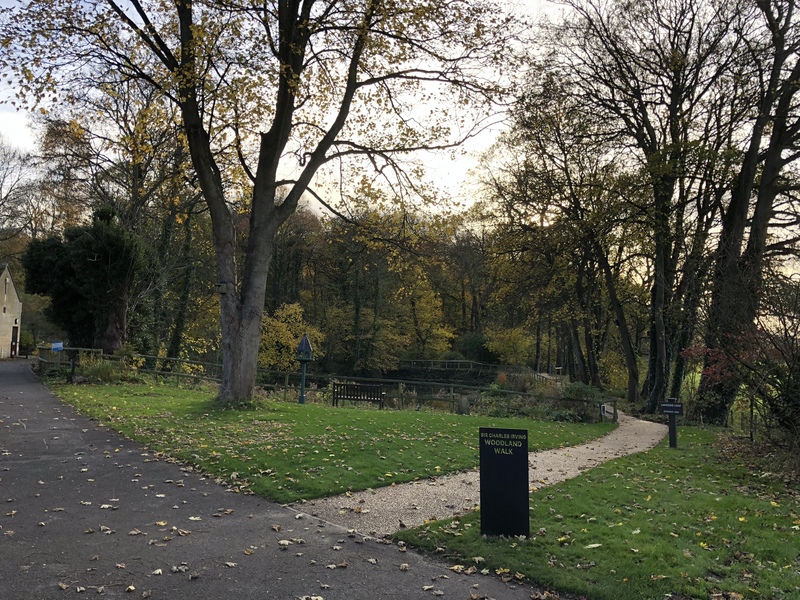 Lots of families have benefitted from the beautiful new lakeside trail, the Woodland Walk, recently converted thanks to a generous donation from the Sir Charles Irving Trust. Now accessible to wheelchairs so the whole family can get some fresh air. 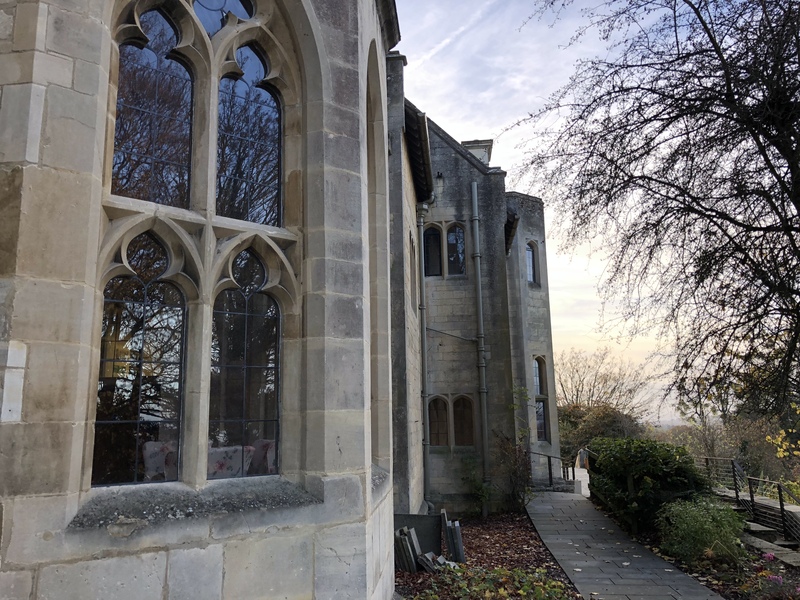 There are stunning views across the Gloucestershire countryside and you can sit in the quiet room and watch dog walkers or sledders in Winter, keeping that connection with the outside world which is so difficult in a hospital with the lights on all day and night and rarely a nice view. There are also plans to make an outside balcony accessible for anyone that is bed bound, so they can be wheeled out to enjoy some fresh air and the beautiful views and watch the abundance of nature that thrives in the beautiful, tranquil grounds around the hospice, itself one of the most beautiful and historic buildings I have seen in the area, 13th Century and grade II listed. When you add into that the plentiful free parking, the fact that there are no set visitor hours and so you never feel the stress of having to rush there after work and that children are very welcomed and even pets can visit too, it really is a very special place. There is a small kitchen and dining area for relatives with a microwave and snacks for sale and there is a very calm and relaxed feel to the whole building. I thought I would feel sad being there, and admittedly some of the wonderful stories I heard about the lengths they go to to fulfil last wishes did make me feel emotional, but overall it felt like a very caring, positive and loving place. One thing I hadn’t realised is that you can refer yourself or a loved one or even a neighbour to be considered for a bed, or for the Hospice at Home team to visit. There is a form available to download on their website. In order to keep up these fantastic works, the Sue Ryder trust relies on public support and also needs to fundraise and so plans many fun, family friendly events throughout the year, with many many supporters creating their own events too. I’ll list a few of the upcoming ones below. The festive fundraiser, being held at Middleton House on Pilley Lane in Leckhampton from 2pm until 5pm on Friday 30th November, will be raising funds for the Gloucestershire hospice which has supported Pamela, who has MS, over the past few years. The event will offer festive fun for all the family with Christmas music, mince pies and hot chocolate. There will also be a tombola, raffle and a selection of stalls spelling crafts, Christmas decorations, jams and chutneys, high-quality second-hand clothes, handbags, bespoke knitted items and books. Come together with friends, family, volunteers and staff from Sue Ryder Leckhampton Court Hospice to remember and celebrate the lives of loved ones this Christmas. Our free Lights of Love remembrance service takes place on Wednesday 5th December at St Matthew’s Church Cheltenham and everyone is warmly invited to attend. Traditional carols and refreshments after. More details here. The splendour and glamour of our Sue Ryder Leckhampton Court Winter Ball provide the perfect opportunity to celebrate the best of the season with friends and family, or entertain partners or clients, whilst helping raise funds for the only hospice inpatient unit in Gloucestershire. This elegant evening of drinks, dinner and dancing at our traditional Christmas celebration in the beautiful surroundings of the iconic Pittville Pump Room, Cheltenham, is a real special seasonal spectacle packed with sparkle. More details here. In addition to this, I will shortly be starting an interview series with some of the staff members at the hospice to find our more about what it’s really like to work somewhere that provides end of life care to people, all the staff I met were so friendly and down to earth and I’m looking forward to hearing more from them. 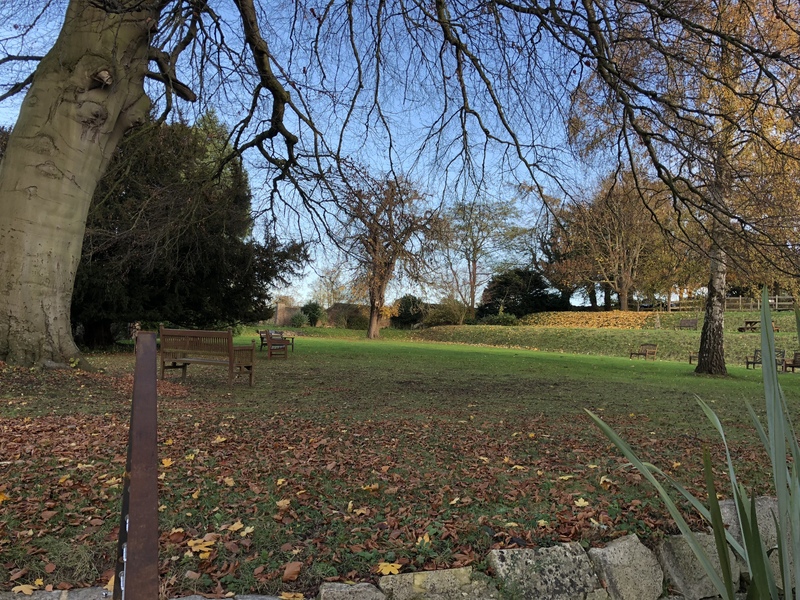 The Leckhampton Court hospice is truly unlike any place I’ve ever come across and I left feeling that death is inevitable but how you die can be such an empowering experience if you have the right care, a team that really cares behind you and places like the hospice in existence.